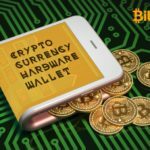 The manufacturer of hardware wallets Trezor announced the launch of native support for cryptocurrency Ethereum and Ethereum Classic, as well as ERC-20 standard tokens in the Trezor Wallet software beta interface. 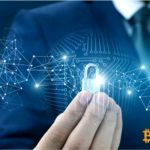 Trezor supported all of these assets for quite a long time, but to work with them, users had to resort to third-party software, such as MyEtherWallet, MyCrypto, and MetaMask. Now all of them have added native support in the wallet interface: users need to select Ethereum or Ethereum Classic in the assets tab in the upper left corner of the interface and click on “Go to Trezor Ethereum Wallet”. There is a window displaying the balance on the account and its equivalent in the selected fiat currency after that. There is also the possibility of adding and tracking token balances at the discretion of the user. The functions of receiving and transferring assets work in the same way as for the other cryptocurrencies in the Trezor Wallet interface. User can use the advanced settings allowing to set a limit and cost of gas or to add additional data to transaction if he want. At the same time MyEtherWallet, MyCrypto and MetaMask extensions is still available and will not be disabled in the foreseeable future. Also company reported on the addition of a new partner in the cryptocurrency exchange section - it was the Coinswitch platform. The function of direct asset swapping without the need to leave the device interface was added to Trezor in October, and ShapeShift and Changelly platforms were originally present there. © 2018 bit.news | queries 224, for 0.500 sec.